Home Amazon Running Belt (the NEW Fanny Pack) HOT Deal – Under $4! Running Belt (the NEW Fanny Pack) HOT Deal – Under $4! If you run, a Running Belt (like this one on Amazon) is a must have accessory to keep your phone, keys, and even snacks safe. Or, use a Running Belt as the new Fanny Pack to keep valuables close while you hike, go to the gym, visiting festivals, or even when you chaperone school field trips. Hurry and get the Nuclear Strength Fitness Belt for Women & Men Running Belt (Black, One Size fits Most) today for only $29.99 NOW $3.97 from Amazon! Check out the Running Belt Fanny Pack details below. 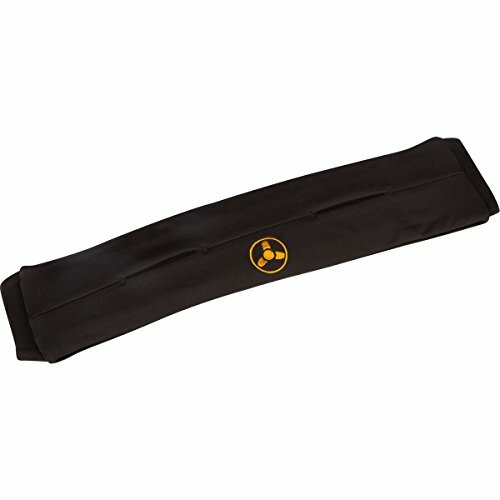 Nuclear Strength Running and Fitness Workout Belt. The Nuclear Strength Running Waist Pack allows you to take your Apple iPhone or Samsung Galaxy Smartphone as well as other items with you while running, hiking, jogging, walking, cycling or just moving about. Made from Spandex-Nylon the unique bounce-free design keeps the pouch from moving during activity. Storage Space While On The Go The zippered pleated pocket expands to 8″ x 6″ x 4 letting you easily carry your phone, keys, gel packs, credit cards or whatever you may need for your workout. The weather resistant pouch provides a simple, elegant and fashionable solution to a problem for all active types, gym rats, runners, hikers, bikers, and travellers. Small and Light The pack accommodates people of all sizes, as it is fully adjustable to accommodate waists of 24″ to 42″. The comfortable soft elastic belt prevents chaffing, while the sturdy buckle and glides provide stability for the most active users. Weighing less than 3 ounces, the Nuclear Strength Sports Belt is so sleek you might even forget it is there! Nuclear Strength Lifetime Hassle Free Warranty At Nuclear Strength, our first priority is customer satisfaction. That is why we offer the industry leading Lifetime Hassle Free Warranty on all Nuclear Strength products. Please contact us if your belt does not meet your expectations. Buy the Nuclear Strength Fitness Belt for Women & Men Running Belt (Black, One Size fits Most) from Amazon.